Available this weekend. Pre Orders by tonight please! We also have a small batch of SPECIAL, very slown grown cockerels and hens...reared for 16 weeks, should be super tasty. We are running a local delivery on Friday 4th May. Or come and see us at Rode Hall Market on Saturday or at Abbey Leys on Sunday. Get set for Easter weekend - we are offering a local delivery this Friday tea time/evening. Lots of lovely free range pork - all joints, belly pork, chops sausages. Bacon from our organic pigs cured in an organic curing mix. ...and of course our Organic Slow Grown Chickens. 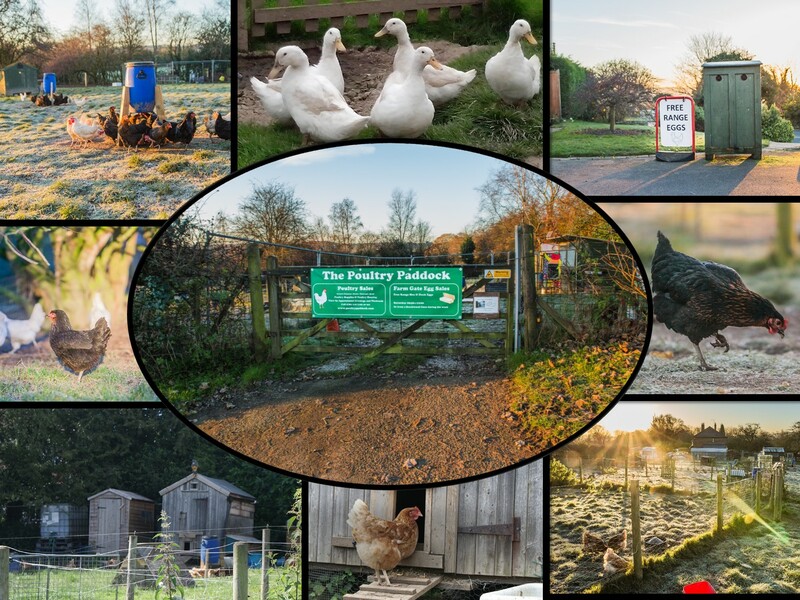 We can also supply free range eggs from the Poultry Paddock (freshly laid on the day) and Sarah's fantastic home made marmalade. Tomorrow is Shrove Tuesday! ....You need Pancakes....You need EGGS! Bluebells, Light Sussex Hybrids, Speckledy, Barred Rocks, White Stars, Colombian Blacktails, Black Rocks. At last, Chickens have finally noticed that the days are getting longer and they've decided to lay a decent amount of eggs, so we've got lots available at the moment £1.50 for 6. Hey! We've got Christmas Turkeys for sale. Hi Howard, Congratulations in producing the best tasting chicken we've had in decades, L&R. Our new flock of hens are now in full lay, so we've got plenty of eggs for sale. You can pick them up from 4 Beechwood Close, Clayton. £1.50 per box of 6 farm gate eggs, £1 for pullet eggs, £1.80 for darker brown Maran eggs.....Fill your boots! James at Upper Brook House Farm has a good Muscovy Drake for sale.